If you are the owner or founder of an SME (Small and Medium Enterprise) or are the person responsible for sales or business development in any size organization then your reputation – your personal brand is paramount in your personal success and the success of your organization. ‘Brands are like people’ is an analogy often used to describe the companies they represent. Virgin is the brand built by Richard Branson and the two are hard to separate. Consumers buy into the personality of the founder and what it represents and promises. In many cases however ‘brands are people’ – every celebrity is a brand, from Oprah to Dr.Phil, to rock stars and actors to sports people like Beckham. Business brands take on or communicate the values of their founders. This is especially true for start-ups and new businesses, professional services firms where the names of the founding partners make up the brand names. Although this is not the best way to brand your services business this is still the dominant reality for many. So the brands are designed and communicated by people. People, especially in services industry is who we all buy from! So it makes sense that ‘these people’ have an optimal representation of who they are and what makes them special in the place where it matters most, the place where positive perceptions are formed – online! 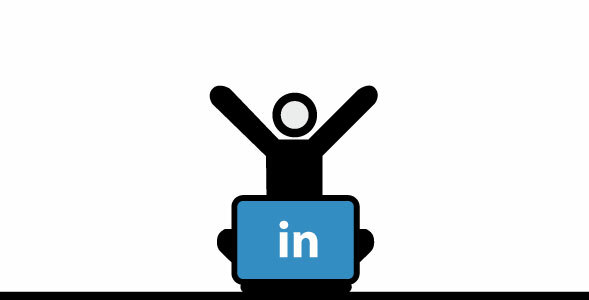 The most important of these in the SME (B2B & Professional Services) is LinkedIn, and we’ll cover this next. 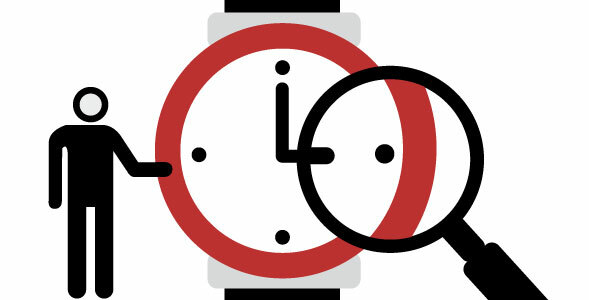 Marketing consultants like to observe company brand positioning and how it changes over time. We like to compare the efforts of those companies with explicitly stated brand positioning against those that imply their brand positioning and do not use a positioning statement. As a business owner or marketing manager it pays for you to watch these very things. Marketing consultants like to watch the progress of companies and how they communicate with their target audience – how their positioning allows them to make their message stand out through creativity because marketing consultants start most new engagements by reviewing the positioning of the brand they are going to work with. Nowhere is this comparison between brands easier to make than in the medium of print, especially when one is on a plane, killing time reading an inflight magazine. 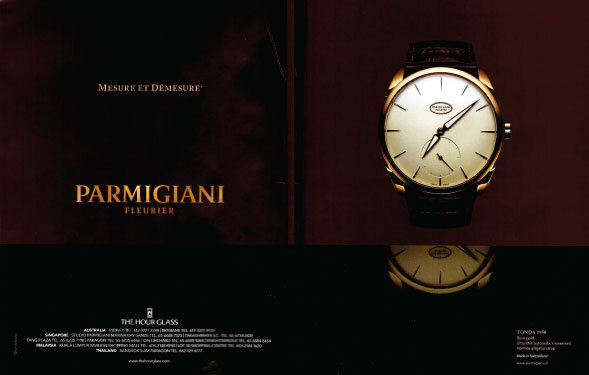 Here’s my exploration of a high interest category – men’s luxury watches. 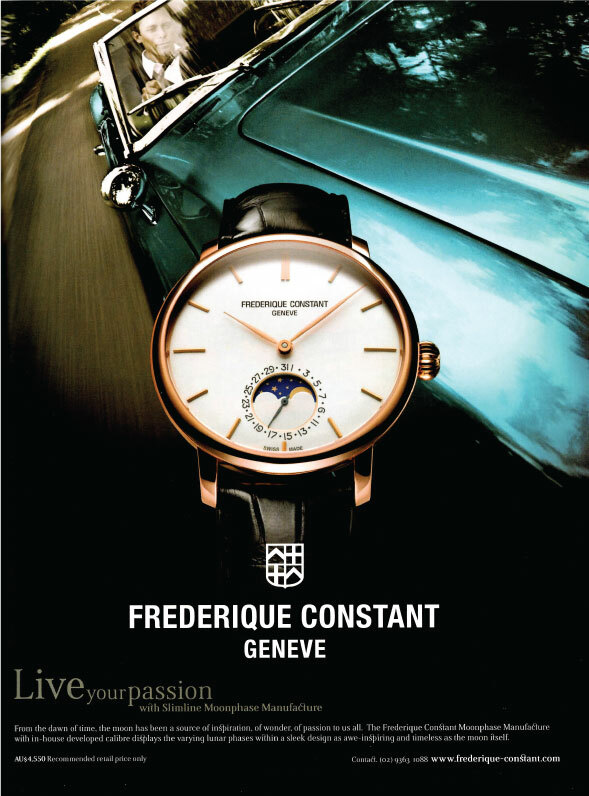 The positioning statement slogan of this brand together with the vintage classic car – says follow your dream and tells me this is a watch for leaders not followers, people who are into style which is timeless rather than fashion which changes. The short copy explains the features of the watch, namely it’s display of lunar phases. 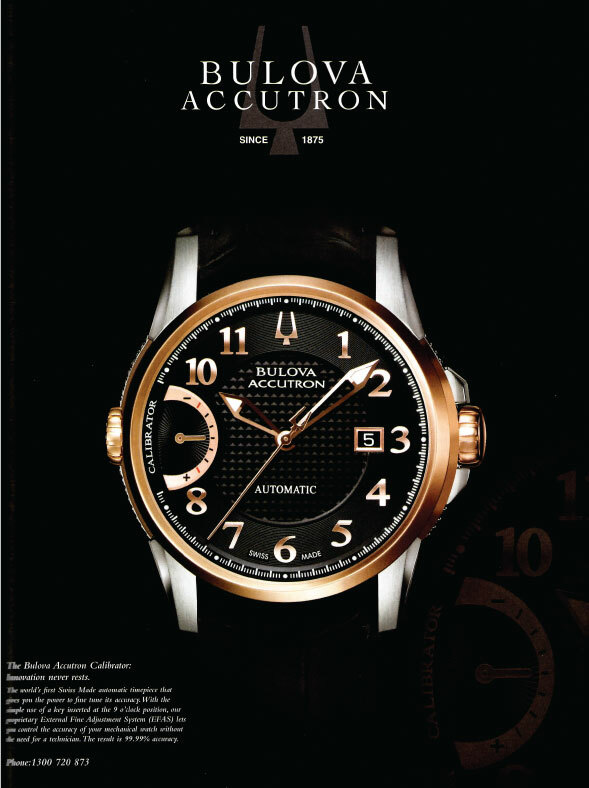 Would you pay $4,500 or if that makes you a lunatic I cannot answer, but the ad certainly gets my attention and tells me what the brand is about, which is important as I and assume many of the readers have not come across this Swiss before. Not sure whether this is the official slogan / positioning for this Swiss brand or just a headline for the ad, but the ad backs up it’s claim of evolution by telling me about it’s revolutionary anti-shock and illumination systems. The design tie to BMW is obviously an attempt to target the carmaker’s well to do target audience and tap into the equity of the global German brand. This well known Swiss has at first what seems like a great slogan / positioning statement but is it? Are all other watches not real and are all non-Oris wearing people fake or do they simply not exist? Do only real people go scuba diving to depths of 500m? 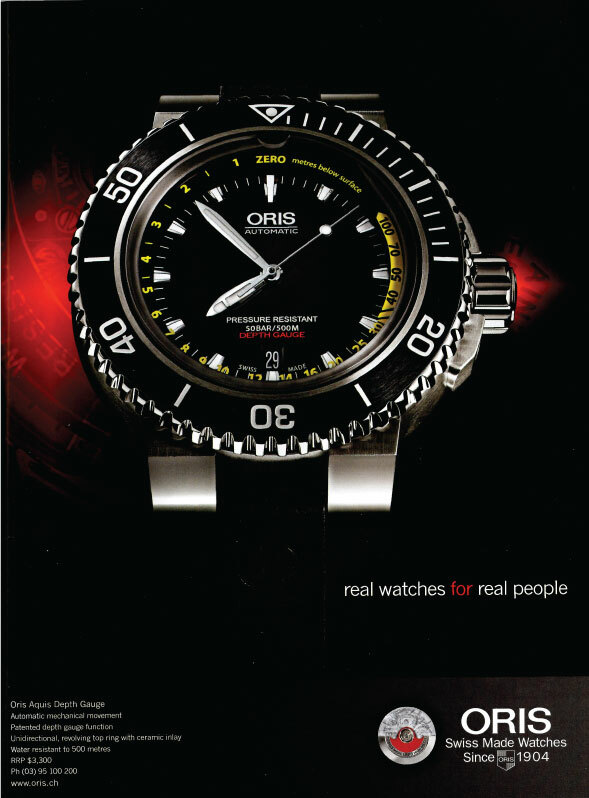 Maybe for this product Oris should have focused on the diving enthusiasts instead? 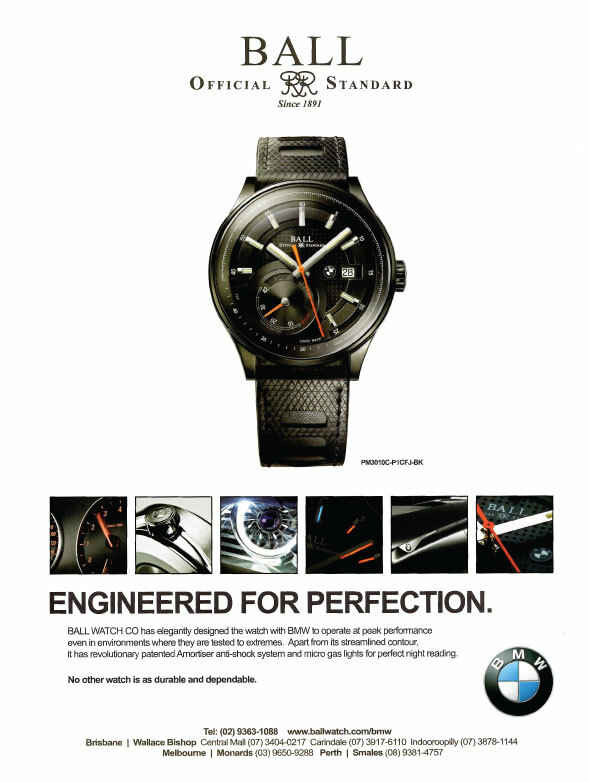 The slogan really has the potential to irritate non Oris owners rather than inspire them to purchase one. Probably the most well known of the lot, this Swiss probably thinks that their brand name and product shot is enough to grab attention. They do provide a QR code for more information on the product and maybe this is enough, however I can’t help but think their slogan means much more to their marketing team and advertising agency than their actual target market. Precision may impress someone, it maybe something we rely on, but “inspire”…really? A bit lame and cutesy when you think about the target audience. Telling them they “need style” is almost offensive. The attempt at building on the 40-year history is also not something that will win over the prospective buyer when most of the category players have 3 times that under their belt! 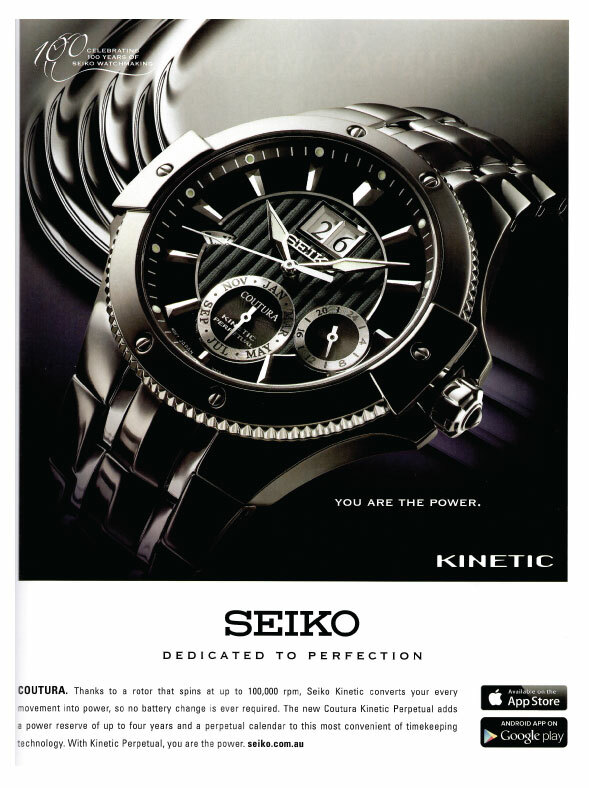 At least the watch itself, the ad, and its placement on the back cover of the magazine will get attention. The first non-Swiss in our evaluation, presents a real problem – MIXED MESSAGES! And based on my limited understand of watches there are plenty that are “self-winding” although this maybe a real point of difference in the non-Swiss category at a price point that is much lower than most of the European rivals. 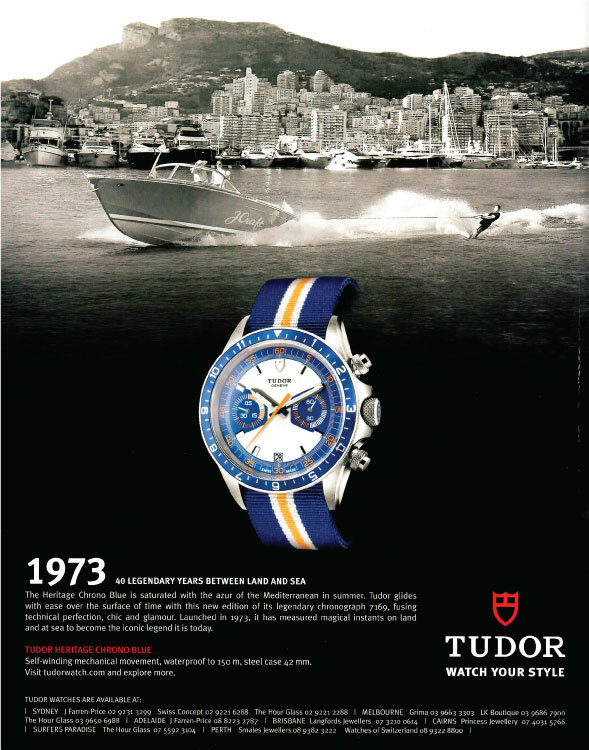 This advertisement tells me that this is the first Swiss Made automatic time piece – still not sure of what this is, even after a quick look at Wikipedia, the biggest issue I see with this ad is the actual product – a watch that you have to tune yourself, but that’s only me… If I were to part with a small fortune, this would be the last thing on my mind. 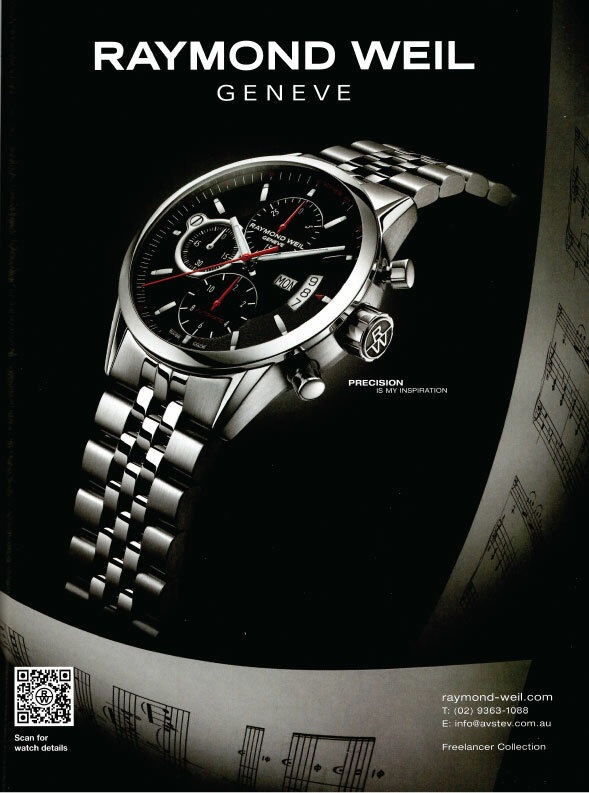 If I were the ad agency I’d be focusing on other features of this timepiece. Again pretty lame for a slogan, which is not in any way supported by the copy in the advertisement. 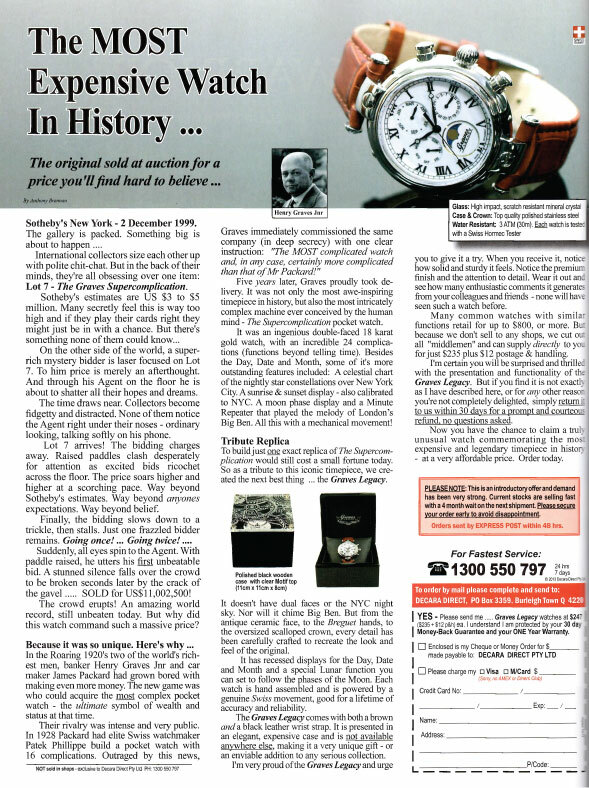 The headline is catchy and the watch features certainly make it unique, but does it mean that the watch that you currently own is not a real one? It appears the functionality (or gimmick) of dual faces is enough point of difference and what constitutes a real watch for them. This double page spread feels like a waste of space. They could say something, tell us a story, inspire us, and explain why this is a classic timepiece, but all we get is 3 features, none of them terribly exciting in my humble opinion: rose gold, automatic movement, and a Hermes alligator strap. No headline, just the brand name, oh wait the headline / slogan maybe in French, something about measuring and re-measuring to suggest precision, but that is only a guess, which means only the French speaking will get to understand this attempt to gain credibility in the category. A reliance on the style of the piece is all consuming from this advert, which makes me question why it needed the dps? Ok, so this is probably an unfair comparison. A great, old fashioned Direct Response advertisement. A brilliant headline, great copywriting telling a very interesting story that delves into a fascinating time in history – the roaring 1920′s and the rivalry between two of the world’s richest men! Of course in this type of advertisement all features of the product can be described in great detail and I couldn’t help but read this ad from start to finish. Would I buy a replica? Probably not, but for at least 10 times less than the average price of a premium Swiss timepiece, I bet a few will, just for its value as a conversation starter and general trivia. Marketers are often divided about Direct Response and Brand type ads. 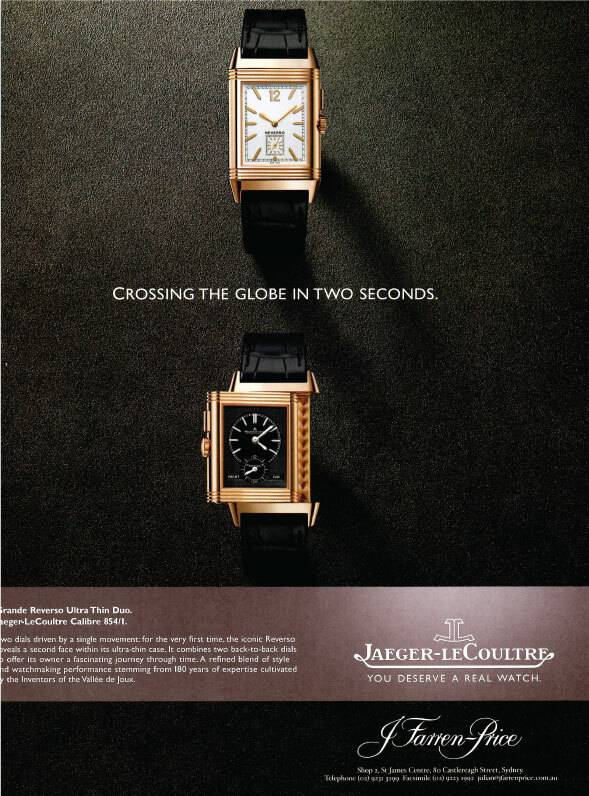 All these adverts were in a monthly inflight magazine, which is premium print cost; many of the placements appear to be quite similar in layouts, which is normally fatal in a branding campaign where you are telling your story. Some too are actually uninspiring or uninformative which draws me to the conclusion that they are not likely to generate great results but are here because the competition is. I believe there’s no reason that branding should be separated from creating immediate demand – both are possible with a bit of planning and creativity! To get your brand message across and generate a response from your target audience contact us today for a no obligation consultation. DIY Marketing and Hiring Marketers to work In-house is one of the biggest mistakes being made by many Australian small businesses. Marketing, like most business disciplines is changing rapidly due to advancements in technology, media fragmentation, and the resulting change in consumer wants and behavior. Increasingly, there are more marketing specialists than ever before and the decreasing number of remaining marketing management generalists have to keep up their knowledge across an increasing array of new channels and tools whilst managing more complex campaigns and measuring and analyzing increasing reams of data on an ever decreasing budget. Marketers are struggling with issues around Loyalty, CRM, Big Data, Search Engine Marketing (PPC, SEO, Display), Social Media, Content Marketing, PR, UX, etc. And each of these distinctively different disciplines has at least 3-4 different broad areas before one even drills down to specialities! Yet most SME Marketing Job Descriptions read like a mythical Marketing Super Hero, with marketing job descriptions for a Marketing Manager, Marketing Assistant or Marketing Coordinator encompassing vastly disparate skill sets. The simple truth is that these marketing superheroes do not exist except on resumes of individuals who need a job and tailor their CV’s to say so. The sad reality is that most SME business owners do not know what they really need and end up “copy and pasting” from job descriptions they have seen. Due to the fact that most business owners are not professional marketers, they have no idea how to tell a ‘good’ applicant with the appropriate skills, in a few areas they are actually good at, from ‘bad ones’. At the very best, the SME business owner hires someone who is good in 2 or 3 areas out of the 7 or 8 they have advertised for, effectively investing in a marketing project manager, who will still have to either engage outside marketing specialists or try to do it all themselves. The overall result, no matter which way you slice it, is at best mediocre. The easiest way to understand this dire situation is to look at the marketing department of a bigger company, where the typical job description above would be performed by 2 or 3 different teams or at the very least 2 or 3 different individuals. Yet small business owners expect one person to perform miracles or worse still believe they can do it themselves. Now don’t get me wrong, there are exceptions, success stories of entrepreneurs doing their own marketing and doing it brilliantly, but the key word is exceptions. In many cases these entrepreneurs have a marketing background and a real passion for marketing their business. This is not the case in general. Most people go into business to do what they love, being an accountant or an architect, a lawyer, a plumber, a gardener, etc. You disagree that media communication has become too complicated. 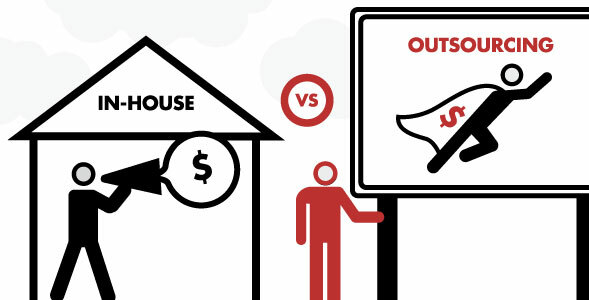 qubePartners Outsourcing vs In-House Marketing Diagram summarizes the advantages marketing outsourcing can deliver to a small and medium sized enterprise. For a free and no-obligation assessment of your marketing needs don’t hesitate to call us or alternatively in the first instance you can have a look at the Marketing Check document in our Marketing Resources section. Are you looking for a marketing consultant who can assist your business growth or help you overcome a challenging situation? Judging by the number of SME clients who we have worked with who have previously been let down by their chosen marketing partner, it is easy to see why so many business owners are concerned that marketing people over-promise and under-deliver. We believe the problem in the industry is multifaceted and is unlikely to go away in a hurry – here is an examination of some of the industry issues. Hence the purpose of this article is to assist SME business owners in selecting the right marketing professionals to work on their business. At qubePartners we don’t hide behind jargon nor try to impress you with it – talking of which this is hilarious! You know your business better than anybody else – we know how to get you in front of your target audience, with the right message at the lowest possible cost. At qubePartners our experienced marketing consultants have the expertise to increase your sales and decrease your costs. Marketing is about common sense so it is best to interview a few providers and see who makes most sense to you. Make sure to get references and see examples of their work before making the final decision. Most importantly, you need to be comfortable with how well the marketing consultant understands the key drivers in your business. 1. How many years experience does the marketing consultant have in the marketing industry? Anything over 10 years is acceptable. 2. How many years experience does the marketing consultant have in consulting to small medium enterprises (SME’s)? Less than 2 years is unacceptable. Consulting in general is one of the most transient industries and marketing is no different. Anyone can call himself or herself a consultant and in fact over 8,000 individuals in Australia do so, but your chances of finding an independently accredited professional consultant are just 1 in 12! So make sure that the marketing consultant you are talking to is a member of a professional marketing or consulting body, at the very least this means they have the right education / qualification. 3. How many different product / service categories has the marketing consultant worked across? The more diverse the marketing consultant’s background the more likely they are to provide your business with innovative ideas on how to find, attract and retain customers. 4. Has the marketing consultant worked both in the corporate world and small medium enterprise? The diversity of the marketing consultant’s experience across both big and small businesses is a great asset to your business, as each camp can learn much from the other. A marketing consultant that has worked with big business has the planning discipline and knowledge that can only be gained working at the big end of town. A marketing consultant that has worked with small and medium enterprises will have the street smarts that come only after one has experienced the limitations of tiny budgets that force a marketing consultant to think outside the square. 5. Does your prospective marketing consultant have B2C (Business to Consumers) and B2B (Business to Business) experience? 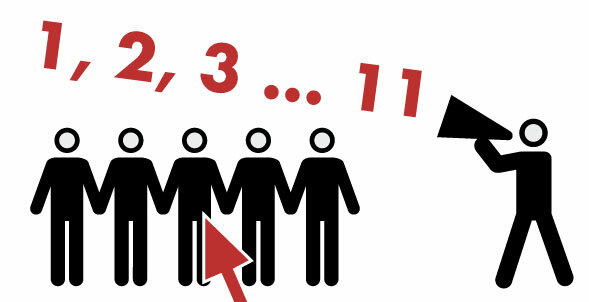 Although the marketing principles are the same each type of market – B2C and B2B – have their own peculiarities. A marketing consultant with experience across both areas will be able to deliver more comprehensive and creative solutions to marketing challenges faced by your business. 6. Does the marketing consultant have Integrated Marketing Communication experience? The term Integrated Marketing Communication refers to the deep understanding and knowledge of all the facets of the marketing industry and how these different disciplines interact to provide the consumer with a superior brand experience. Ask for proof of their experience and examples in all of the above areas! Only marketing professionals that have had experience in most of the above areas for a period of at least 12 months per discipline can claim to understand and utilize Integrated Marketing Communications. Why is it important, you ask? Only an Integrated Marketing Communication approach will deliver the full benefits of marketing to your business. Integrated Marketing Communication is the “helicopter view” of your marketing situation, rather than a band-aid approach to the immediate challenges at hand. 7. Has the marketing consultant worked both on the client and advertising agency side of the marketing fence? Marketing professionals on the client side concentrate on developing products or services to meet the needs of their target market, managing the distribution relationships and the sales process, analysis and research of buying trends etc. Marketing professionals on the advertising agency side concentrate on the communication aspect of marketing, making sure that the right message reaches the right prospects, the right number of times. This is also generally the most expensive part of your marketing – getting your message into the hands of your prospects, before their eyes, and into their ears. Both sets of skills are vital to achieving success for your business. Ask your prospective marketing consultant for proof and examples of their work on both sides of the marketing fence. 8. How creative is the marketing consultant that you are considering? If a marketing consultant can’t come up with a few innovative ways of promoting your business in your first meeting, they are probably not right for you. Be aware, however, that ideas and strategies are tools of trade and marketing consultants may be hesitant to give those away for free, but they should be able to at least provide you with some constructive observations on how your business can be improved. If they can’t show you or talk you through at least a dozen creative concepts from current or past clients, you shouldn’t consider them! 9. Failure! Ask your prospective marketing consultant to give you some examples of projects that didn’t succeed or attain desired objectives and why. Every one of us has failed in something and hopefully learned from that experience. This question can really provide you with great insight into the person’s honesty and ego, ability to overcome challenges, and learn. 10. Has the marketing consultant ever run their own business or invested in businesses other than their consulting business? 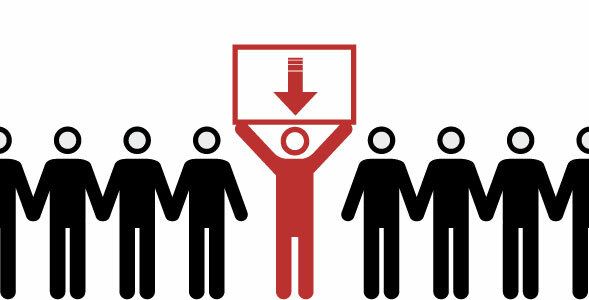 Marketing people are used to spending other people’s money with the aim of doing so in the most cost effective manner. Nothing makes one appreciate the real value of a hard earned dollar as much as spending money on marketing your own business. Marketing consultants who have simultaneously worn the hat of entrepreneur are much more likely to treat your marketing budget like they would their own – and that makes a world of difference! 11. Finally, will the marketing consultant just take your brief or will they challenge it? Does the marketing consultant have the guts to challenge you – their potential prospect? It is an unfortunate fact that most marketing people who call themselves professionals do not have the fortitude to tell their clients and prospects the truth about their chances of success, about their briefs and about their businesses in general. At The marketing Network we promise to give you a good dose of reality. Our clients thank us for it and watch their sales increase. As always, we love to hear from you, so if you have any questions, don’t hesitate to contact us for a confidential and obligation free discussion about any of your marketing needs. 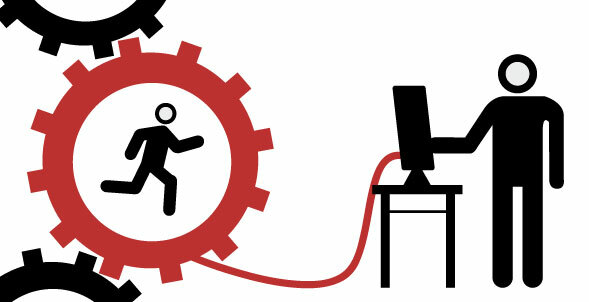 Are Your In-House Marketing Professionals Working Hard And Smart Enough? For years there has been a disconnect between the marketing function and the rest of the organization, especially when it comes to management understanding what in-house marketing professionals actually ‘do’. This chasm has been widened by clever marketers looking busy, wowing senior executive teams with pretty power-point presentations and using terminology that only they understand – all in an effort to justify marketing expenditure. To be competitive, it’s time to get real and ensure your marketing function and the marketing professionals therein deliver. Examining the in-house marketing function and your marketing professionals’ effectiveness begins at a high level. When considering your product development process, is your product or service in line with market requirements? Do you have current and ongoing research activity to monitor if the appearance and functionality of your product or service addresses the evolving needs of your target market? Has your Marketing Manager justified the strategic development of this product or service, such as extending or broadening a brand to meet seasonal changes or matching a competitors’ point of difference? When considering pricing strategy, are your in-house marketing professionals setting pricing that not only meets profit objectives, but forms part of a plan that reflects your brand image and increases market share? Additionally, is your Marketing Officer or other responsible marketing professionals ensuring your product or service is made available to your target audience through convenient and appropriate locations in a timely manner? Are they flexible in developing and adapting distribution strategy? Good outcomes from lower tier marketing professionals who conduct more administrative tasks are easier to measure, and are reflected in attention to detail and adherence to internal management protocols. The father of modern management, Peter Drucker once said “If you can’t measure it, you can’t manage it”, it follows that measuring individual performance using Key Performance Indicators is effective as long as those KPIs are truly reflective of both the marketing functions KPIs and those that the individual has been hired for. Too often KPIs form a laundry list of tasks that existing team members can’t or won’t fulfil and aren’t related to an individual’s core competencies or experience (such tasks could well be handled by a talented marketing or advertising agency). For obligation free advice or a more detailed analysis of the effectiveness of the marketing professionals you have hired, we exist in a unique position knowing how to measure success for individual businesses and how to increase marketing functionality that delivers to your bottom line.